Jane gratefully acknowledges the award of a literature bursary from the Arts Council in 2017 for the completion of her pamphlet, All the Way Home and for work on her second collection, When the Tree Falls. "Clear, direct, lovely: Jane Clarke’s voice slips into the Irish tradition with such ease, it is as though she had always been at the heart of it." Join us for a special evening of stimulating readings and provocative conversations and a reception afterwards. This will be a special evening celebrating these three wonderful poets, the inclusion of their work in the Fall edition of Copper Nickel (the national literary magazine of the United states), their lives and to share in some piercing and thought provoking insight and observations into life and key issues in Ireland today. Poets bring a special perspective. What: Solas Nua and Copper Nickel present three of Ireland’s foremost poets and most exciting performers Elaine Feeney, Jessica Traynor and Conor O’Callaghan. ELAINE FEENEY, from Galway, is both a “performance poet” and a “page poet” who has published three collections: Rise (Salmon, 2017), The Radio Was Gospel (2013), and Where’s Katie? (2010). She has won the Cúirt Festival’s Poetry Grand Slam. Her interdisciplinary piece Wrongheaded, which includes dance, film, and narrative on the subject of bodily choice in Ireland, inspired a film of the same name directed by Mary Wycherley, which is currently touring. CONOR O’CALLAGHAN, from Dundalk, is the author of five poetry collections: Live Streaming (Gallery, 2017), The Sun King (2013), Fiction (2005), Seatown (1999), and The History of Rain (1993). The Irish Times called his novel Nothing on Earth (Doubleday Ireland, 2016) “one of the most impressive pieces of Irish fiction” since the early 1980s. The recipient of numerous awards for his work, including the Bess Hokin Prize from Poetry magazine, O’Callaghan lectures at Sheffield Hallam University in England. JESSICA TRAYNOR, based in Dublin, is the author of the poetry collection Liffey Swim (Dedalus, 2014). Her poems have been broadcast on RTÉ. 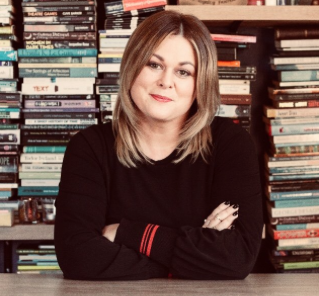 Named Hennessy New Irish Writer in 2013, Traynor has served as literary manager of the Abbey Theater and currently teaches through the Irish Writers Centre. This event is supported by Culture Ireland. Jane Clarke and Siobhan Campbell are among the many wonderful poets that Solas Nua has brought to Washington DC and that are in this archive. The Irish Poetry Reading Archive (IPRA) is a central repository that holds recordings of Irish poets and writers, reading their own work and giving a very brief overview of the context and circumstances that influenced the writing of their poems. Many of the readings are accompanied by handwritten copies of the poem, created by the poet especially for the reading. This collection aims to capture and preserve the rich and diverse landscape of poetry in Ireland. It includes the voices of: established poets; emerging poets; performance poets; avant-garde poets; English and Irish language poets; and Irish diaspora poets. UCD Library is extremely grateful to the large number of poets who are featured in the Irish Poetry Reading Archive, many of them Aosdána members, who have generously and freely given of their time to initiate the project. This collection is an ongoing project. In Glasnevin by Jane Clarke wins the inaugural Irish Poem of the Year award at the Bord Gáis Energy Irish Book Awards in Dublin. A wonderful (full house) evening of brilliant poetry, thought provoking participatory art and vibrant discussion at The Hillyer Art Space. Solas Nua's Paddy Meskell with Visual arts curator and artist Jackie Hoysted, DC based poet Teri Cross Davis and Hennessy award winning poet Jane Clarke at The Hillyer Art Space; poet Teri Cross Davis reading from her book Haint; award winning poet Jane Clarke reading from The River; artist Jackie Hoysted with poets Teri Cross Davis and Jane Clarke. "Jane's poems have a two-fold quality of tenderness - not simply their affectionate respect for people and for ways of life, but also the courage to go close to the raw places, facing the grief and unease which comes from loving what can be or already has been lost." Jane Clarke's first collection, The River, is published by Bloodaxe Books. Originally from a farm in Roscommon, Jane now lives near Glenmalure, Co. Wicklow. She was shortlisted for the Royal Society for Literature Ondaatje Award 2016 and has won the 2016 Hennessy Literary Award for Poetry. She also won the 2014 Listowel Writers' Week Poetry Collection Award, the 2014 Trocaire/Poetry Ireland Competition, the inaugural Poems for Patience, 2013; Listowel Writers' Week (2007) and the iYeats (2010) and was shortlisted for the 2013 & 2014 Hennessy Literary Awards. Teri Ellen Cross Davis is a Cave Canem fellow, a Pushcart Prize nominee, and has attended the Soul Mountain Writer's Retreat, the Virginia Center for Creative Arts and the Fine Arts Work Center in Provincetown. She is on the Advisory Council of Split This Rock (a biennial poetry festival in Washington DC) and a member of the Black Ladies Brunch Collective. Her work has been published in many anthologies including: Bum Rush The Page: A Def Poetry Jam, Gathering Ground: A Reader Celebrating Cave Canem's First Decade. Her first collection Haint was published in June, 2016 by Gival Press. She lives in Maryland with her husband, poet Hayes Davis and their two children. Award winning author, Jan Carson, currently a community arts organizer in Belfast, returned in early April to Solas Nua's literature series with a reading from her work-in-progress about a young man growing up in East Belfast. Her novel, Malcolm Orange Disappears, was published in 2014 to critical acclaim. In 2014 she was a recipient of the Arts Council NI Artist’s Career Enhancement Bursary. Northern Ireland playwright and short story writer Rosemary Jenkinson read from her new story collection, "Aphrodite's Kiss and Further Stories." Among her plays is "Johnny Meister and the Stitch," which was produced by Solas Nua. Her new play, "The Dealer of Ballynafeigh," opened at The Keegan Theatre in October 2015. Read a review of her debut novel here. Mary read for Solas Nua from her Booker Prize Candidate novel "Academy Street" at the Petworth Citizen Reading Room, 829 Upshur St. NW, Washington, D.C. In fall, 2014, Solas Nua presented readings by three Irish authors. On September 30th Donal Ryan read for us at Busboys and Poets (5th and K Streets NW). He read from his novels The Thing About December and The Spinning Heart. On October 8th Jan Carson read from her novel Malcom Orange Disappears. And on October 27th Eimear McBride read from A Girl is a Half-formed Thing.